All you need to do is buy an advance three-day ticket, with camping or without. You’re planning to come anyway, so buy your ticket by 11:59 p.m. April 30 AND get a chance to win. Your name will be automatically entered in a drawing for one of five vouchers for $50 in Rhythm & Roots merchandise. Don’t worry, if you already purchased advance three day ticket (s) with or without camping, you’ll already entered to win! Vouchers are valid on 2019 Rhythm & Roots merchandise only, and are not valid for tickets, food, beverages or merchandise sold by artists or vendors. One per household please. Winners will be notified by May 15. With over 10,000 attending, drawing from 38 states and six Canadian provinces to southern RI in 2018, do not miss out on our Sponsorship and Advertising opportunities. I like to hear Steve Earle sing just fine, but I really like to hear him talk. The man behind “Guitar Town,” “Copperhead Road” and “Galway Girl” is headlining the three-day-long Rhythm & Roots Festival at Charlestown, RI’s Ninigret Park on Friday night, and for the last few mornings I’ve been scrolling Earle interviews while riding the bus to work in Brooklyn. Pithy, witty, earnest, occasionally wise – the 63-year-old singer is a thoughtful gent whose on-stage exposition can be just as entertaining as his interview responses. Below you’ll find 10 quick bites that stuck with me this week. Earle’s band the Dukes doesn’t pull any punches when they kick their country-rock into action; they knock you around a bit. Last year’s So You Wannabe an Outlaw has just as much snarl as his best work, and the Waylon and Willie covers mix well with the Earle originals. So save some energy for the Friday closer at Ninigret; it’s the 30th anniversary of Copperhead Road album and the Dukes have been roaring through its program. The Rhythm & Roots curators saved the best for last. The big music festival event in these parts happens next weekend (i.e., Labor Day weekend). 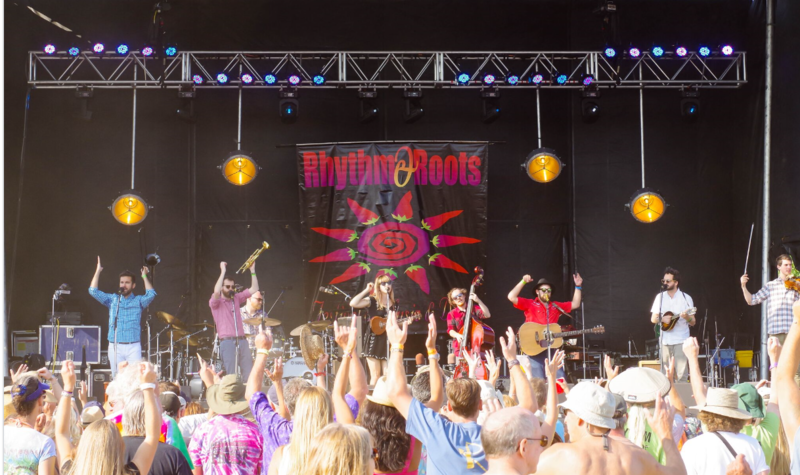 The annual Rhythm & Roots Festival begins on Friday, August 31, and continues through late night Sunday of that weekend at Ninigret Park in Charlestown. The 21th edition of the event is overloaded with talent featured across multiple stages. 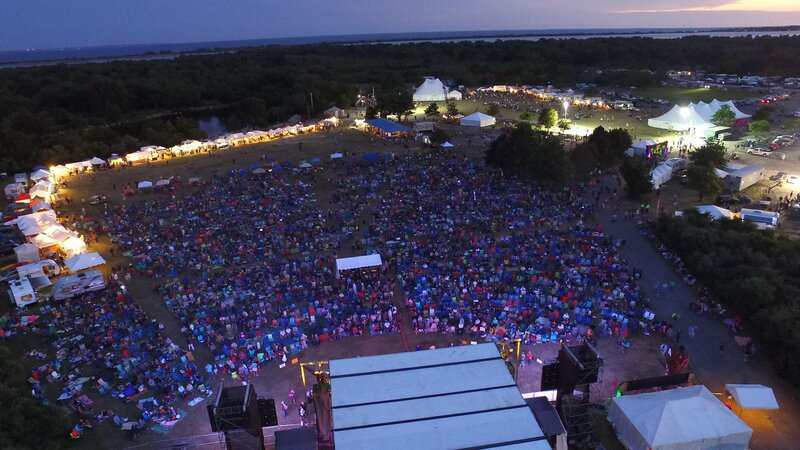 This year’s headliners include Taj Mahal Trio, Steve Earle & The Dukes, Leftover Salmon, Hot Rize (featuring Red Knuckles & The Trailblazers, Donna the Buffalo, and Asleep at the Wheel. Also performing are Los Texmaniacs, Steve Riley & the Mamou Playboys, Shinyribs, CJ Chenier & the Red Hot Louisiana Band, Bonerama, Larry Campbell & Teresa Williams, Say Darling, Feufollet, Big Sam’s Funky Nation, Cedric Ballou & the Zydeco Trendsetters, Session Americana, Dustbowl Revival, Girls Guns & Glory, Earle & Coffin, Kristin Andreassen & Bright Sides, GroovaLottos, Len Cabral, and more. Visit www.rhythmandroots.com for all the information. Dan Ferguson is a free-lance music writer and host of The Boudin Barndance, broadcast Thursday nights from 6 – 9 pm on WRIU-FM 90.3. ATTENTION MEDIA INTERESTED IN COVERING THIS EVENT/REQUESTING CREDENTIALS! Not all credential requests will be approved. Credentials will only be issued for members of the media on assignment. Guests of media may buy a ticket here. You are welcome to add camping for $50. We look forward to your continued support and coverage of our festival. Don’t wait for the gate! CHARLESTOWN – If the only problem with life is that it doesn’t have any background music, then Labor Day weekend is going to perfect things. From Aug. 31 through Sept. 2, the 21st Annual Rhythm & Roots Festival will be bringing Ninigret Park to a rousing musical frenzy once again. Calypso, jazz, reggae, gospel, soul, blues, swing, folk; if you can dance or dream to it, it’ll be echoing across the fields. Four separate stages will be the scene of a variety of events. 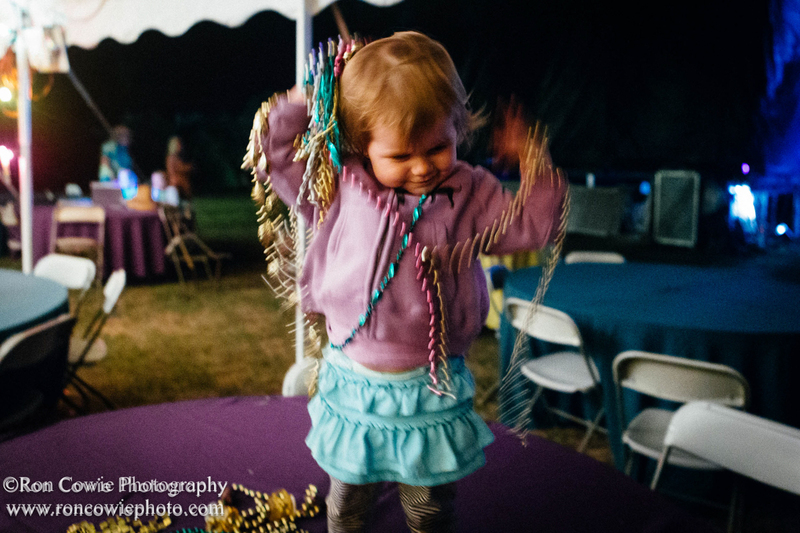 The Family Stage draws kids of all ages with comedians, dance lessons, bubble art and hula-hooping. Arts & crafts projects, table games, a costume workshop, Twister, parachute games and nightly movies will command the attention of toddlers to teens. The Dance Stage will be the place for those ready to swing and sway their cares away, across a 4,400-square foot tented wooden dance floor. The Roots Stage will be hosting various workshops. 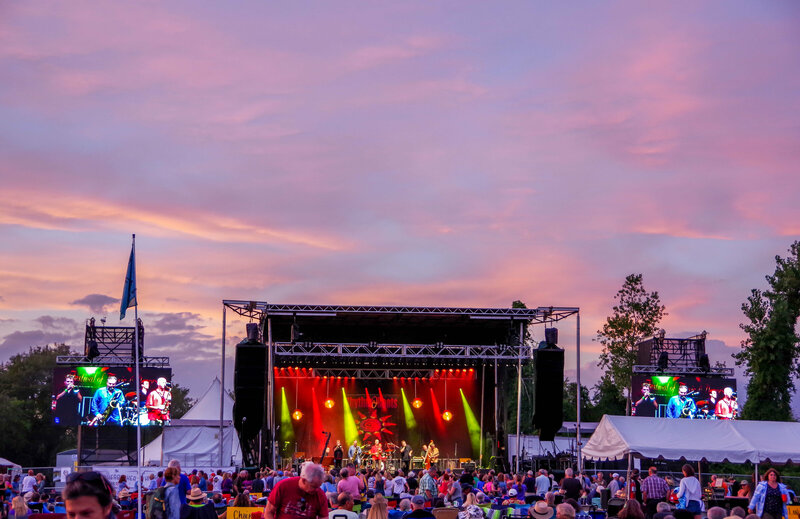 And the Rhythm Stage will host over thirty different musical acts including Americana soul band Dustbowl Revival, Grammy-winning country swing band Asleep at The Wheel, blues musicians Taj Mahal Trio, and the Magnolia Cajun Band. Also featured during the solid-packed event will be a Mardi Gras parade, and storytelling by children’s book author Len Cabral, the grandson of a Cape Verdean whaler. An oral history of Rhode Island’s indigenous people will also be shared. Handmade gifts will be available for sale as well as food, and you’ll realize quickly that the grub here isn’t carnival-style eats. Kimchi, Thai noodles, smoked meats, potato pancakes and po-boys are just some of the unique selections on the menu, along with meat-free options and craft beers. Come for a day or stay for the entire experience. 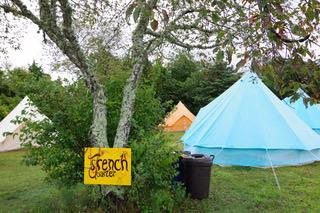 Camping on the grounds is available for those who don’t mind roughing it. For those who do, there is the “glamping” option. The latter provides your ten-by-sixteen-foot tent, four cots, a rechargeable lantern, private portable toilet and a decorative throw rug, in addition to other necessities and niceties. While on the grounds, feel free to take advantage of the park’s bike paths, swimming pond and playground. The event will include 24-hour security and first-aid. Ticket prices vary depending on your plans, your age and your needs. From single day tickets, to 3-day teen passes to four nights of sleeping under the stars in style, you can make the call at the gate or save some cash by buying your tickets or making your reservations in advance. Ninigret Park is located at 4890A Old Post Road in Charlestown. 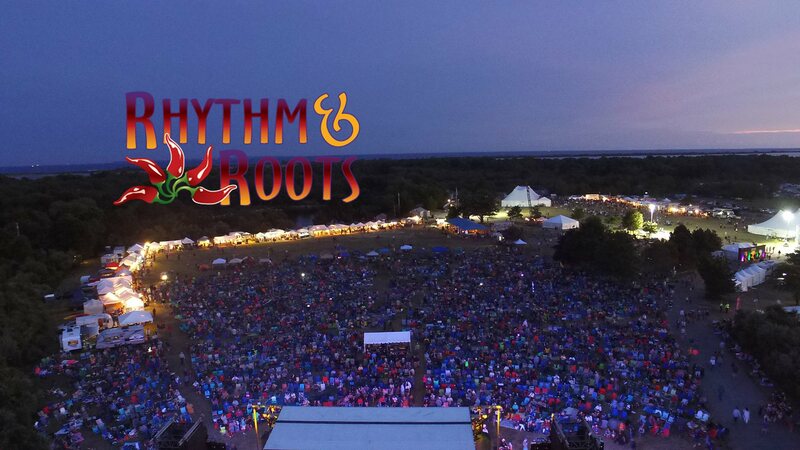 If you’ve never had the Rhythm & Roots experience, come and discover why tens of thousands of people from all over the United States and Canada venture out to Rhode Island Labor Day weekend to see Mardi Gras done New England style. For tickets, reservations or questions, call 401-783-3926. Why pitch a tent, when you can arrive at your festival campsite with all the work done for you? 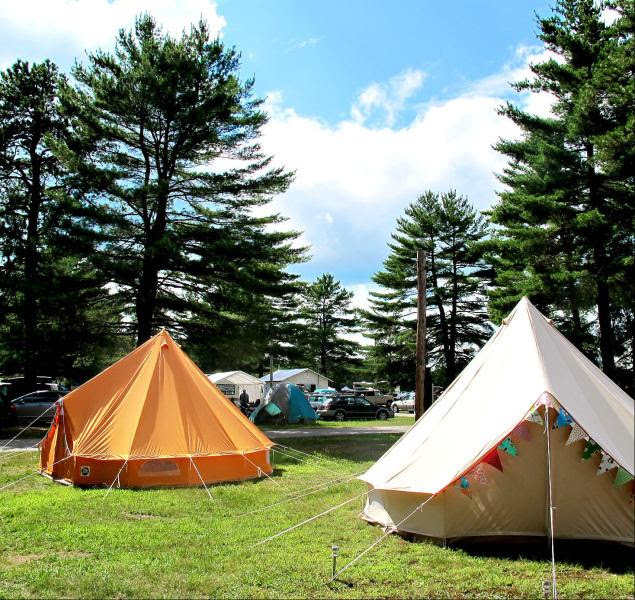 New last year, the cushy and convenient camping experience is called “glamping” and includes a 16-by-10 Bell tent with four cots, a rechargeable lantern, camp table, throw rug, decorative bunting, Rhythm & Roots swag and a private portable toilet nearby. New this year: Premium Parking! Park in one of the 100 closest parking spots to the front gate. This is a unique opportunity to place your company name and logo before more than 10,000 music-, dance- and food-loving folks who know how to have a great time. If you, or someone you know, is interested in becoming an integral part of Rhythm & Roots, please contact us below for complete information. We’re looking for folks near and far to help us spread the word about Rhythm and Roots in Rhode Island! 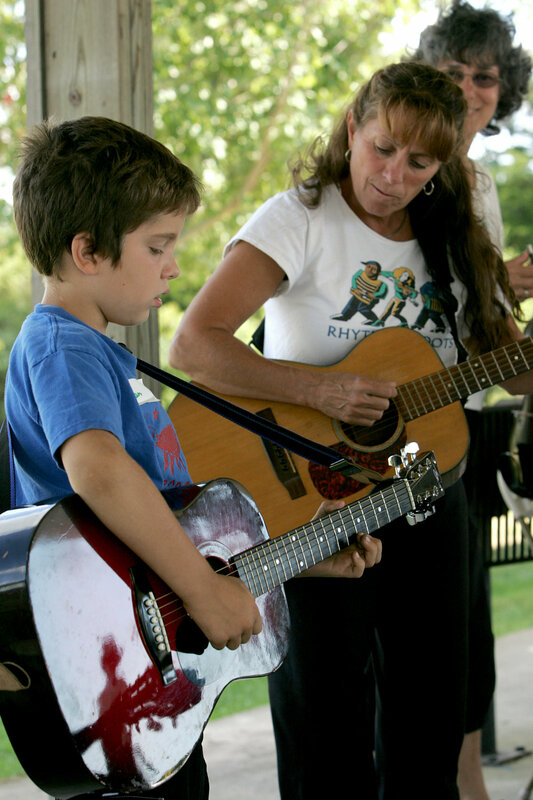 CHARLESTOWN, R.I. – A free music camp at the Rhythm & Roots Festival is open to all children 8-18, even if their families are not attending the annual music and dance festival at Ninigret Park over Labor Day Weekend. 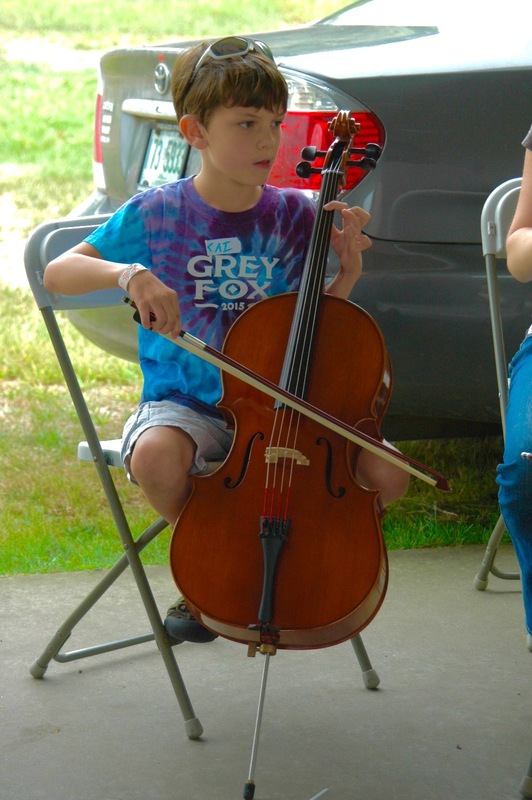 Kids can learn to play, sing and perform traditional Cajun music. 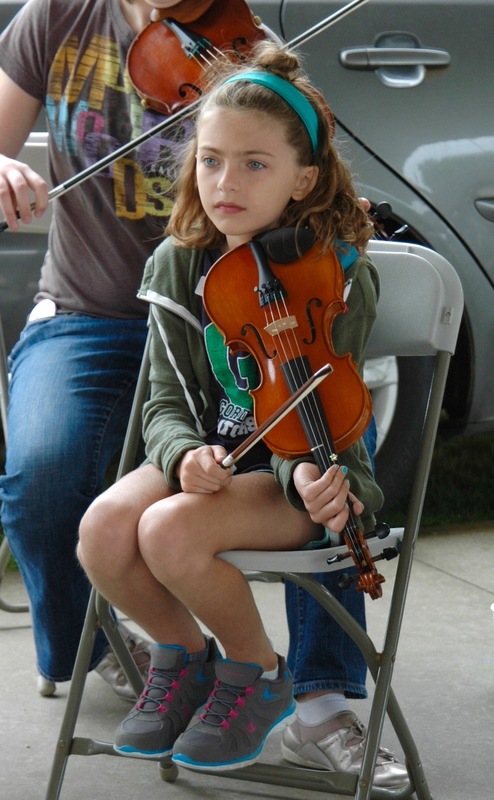 Classes are offered in fiddle, guitar, accordion, mandolin and bass in the Ninigret Park picnic pavilion outside the ticket gate. Very little experience is needed. If your child can play “Twinkle, Twinkle Little Star,” on the violin or three chords on the guitar, that’s enough. 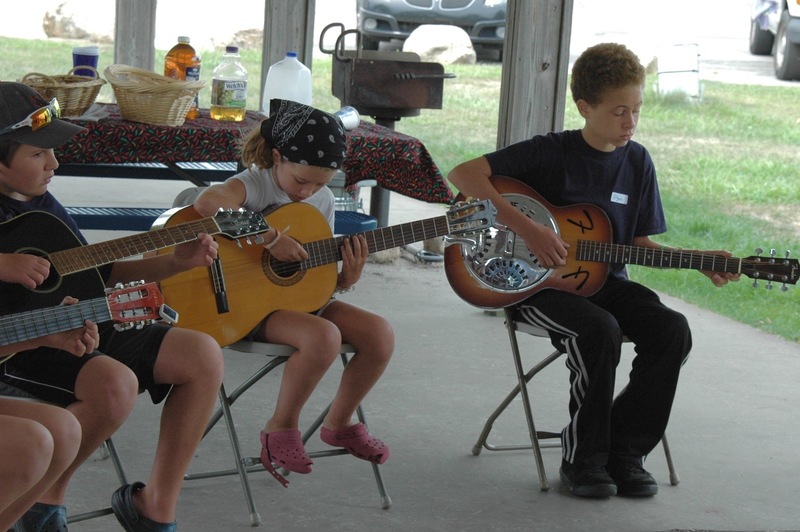 The R&R Youth Music Camp will culminate in a performance before a crowd of enthusiastic parents and festival fans at 2:00 p.m. Sunday in the popular dance tent. “Les Jeunes Cajuns” and their instructors will play and sing tunes they have learned during the weekend. 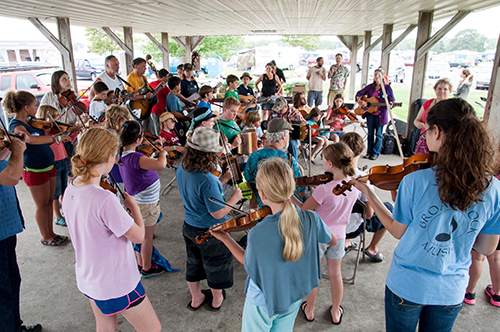 As part of the festival commitment to keeping traditional Cajun music alive and thriving in New England, the camp is offered at no cost, and admission to the festival is free for kids 12 and younger. Students 13 years and older who are also attending the festival will need to purchase a ticket, which is half price for teenagers. Renowned fiddle teacher Pam Weeks directs the camp, assisted by Karen McGrath. The gifted and patient teachers include Pam Weeks and Andy Stewart (fiddle); Jim Joseph and Tim Kness (accordion); Mary Jo Slattery and Mark Wholley (guitar); Michael Pattavina (mandolin) and Bill Olson (bass). Online registration is open through Aug. 28. 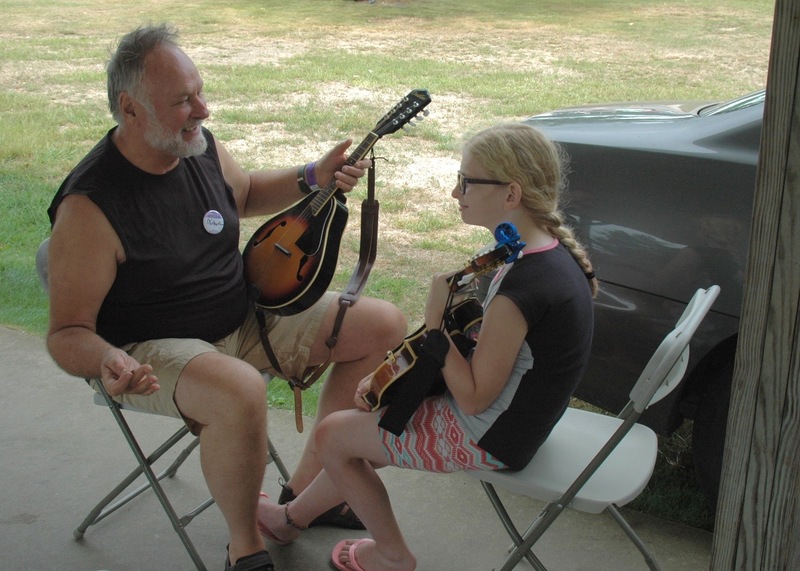 Find more information and sign up at http://rhythmandroots.com/fun-for-all-ages/#cajun-music-camp. Early registration is appreciated. 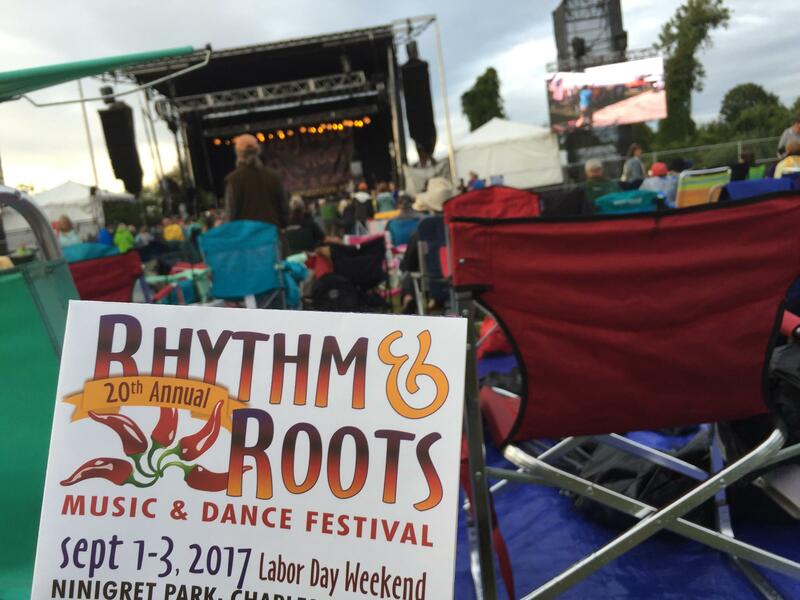 The Taj Mahal Trio, Steve Earle & the Dukes and Leftover Salmon will headline the 21st annual Rhythm & Roots Festival, set for Aug. 31–Sept. 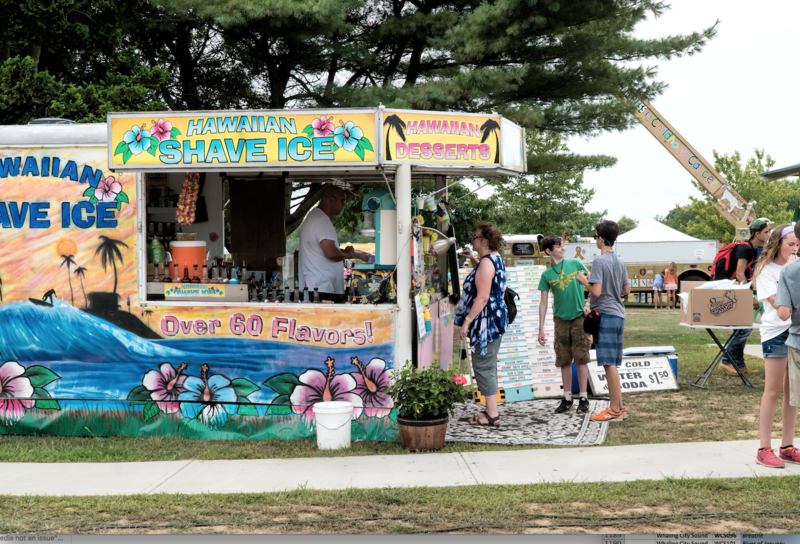 2 at Ninigret Park in Charlestown, R.I.
More than 10,000 attendees are expected at the music, dancing, camping, food and family fun festival, which aims to keep American roots music alive with bands playing from 1 p.m. to midnight each day. Gates open at noon. 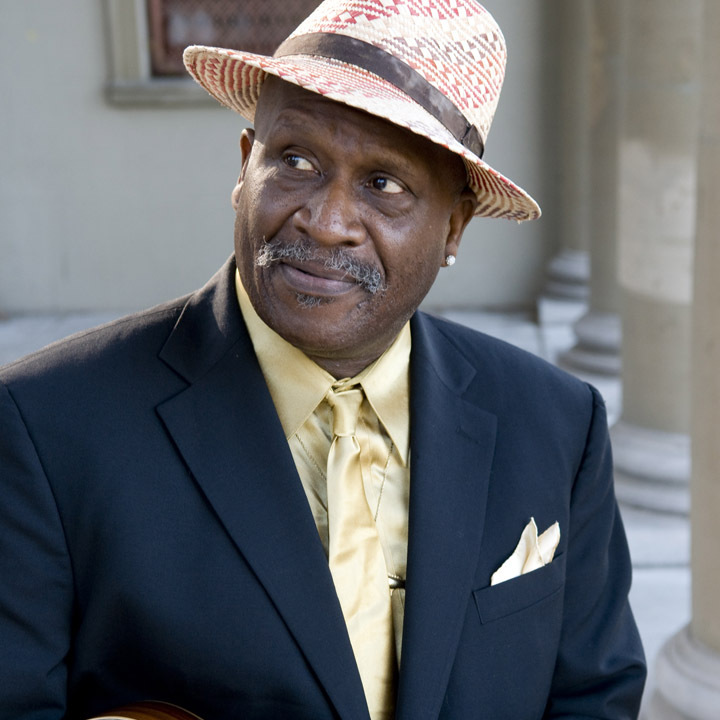 Blues legend Taj Mahal, who himself encompasses a half century of American roots music, is performing with bassist Bill Rich and drummer Kester Smith, bandmates he’s been performed with on and off for decades. Taj Mahal, who will be 76 by Rhythm & Roots time, will sing and play any number of instruments – guitar, keyboards, banjo and harmonica among them – to create his well-loved, internationally flavored brand of blues. 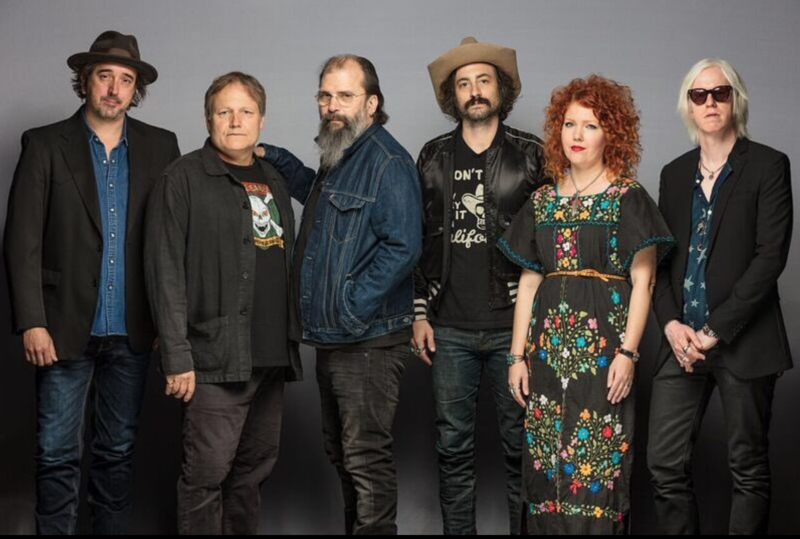 Steve Earle & the Dukes will celebrate the 30th anniversary of Copperhead Road, his acclaimed bluegrass-meets-metal album. The band will also pay homage to Earle’s musical roots and his love of “outlaw” country artists Waylan Jennings, Willie Nelson and the like, while performing a mix of folk, rockabilly, blues and honky tonk tunes. 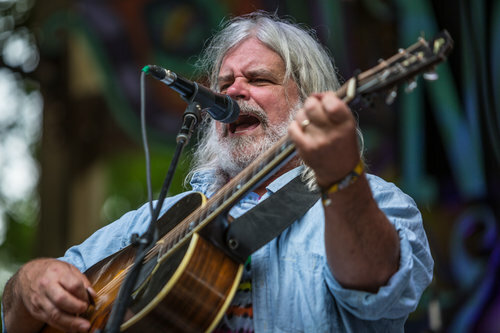 Boulder, Colo.-based Leftover Salmon, which releases its newest album May 4, Something Higher, will play their “poly-ethinic Cajun slamgrass” music that has kept them touring for 25 years. Calling themselves direct descendants of bands like Little Feat, New Grass Revival, Grateful Dead and The Band, their music promises to go off in unexpected, adventurous directions. With three days of music on four stages, Rhythm & Roots offers everything from Cajun and zydeco to blues and swing, and everything in between, for fans of every age. Grammy award-winning Western swing band Asleep at the Wheel, sought-after performers who call their music “jazz with a cowboy hat,” will put on a highly danceable show. The bluegrass quartet Hot Rize, reunited after a 24-year hiatus, will play with another quartet, their country cousins Red Knuckles and the Trailblazers. Festival favorite Steve Riley & the Mamou Playboys have performed at every Rhythm & Roots since Day One. Other repeat performers – Donna the Buffalo, Los Texmaniacs, Shinyribs, Say Darling, Dustbowl Revival – will join festival newcomers Girls, Guns & Glory, Earle and Coffin and Big Sam’s Funky Nation. Asleep At the Wheel, Leftover Salmon, Shinyribs, Steve Riley & the Mamou Playboys, Los Texmaniacs, Bonerama, Dustbowl Revival, Donna the Buffalo, Big Sam’s Funky Nation, C.J. Chenier and the Red Hot Louisiana Band, Say Darling, Earle and Coffin, Feufollet, Veronica Lewis, Cedryl Ballou & The Zydeco Trendsetters. David Greely, Johnny Nicholas, Ed Poullard & Preston Frank, Hot Tamale Brass Band, Magnolia, Zydeco HogsFor tickets and information, go to www.rhythmandroots.com, or call 401.783.3926. Variety is the spice of Rhythm & Roots. 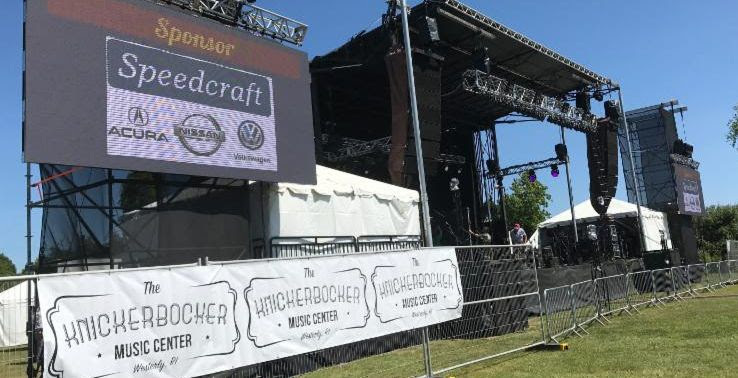 Bands on four stages will perform Zydeco, delta blues, swing, swamp pop, polka, honky tonk, klezmer, Celtic, boogie woogie, Cajun, rockabilly and other musical styles that blend and warp all categories. Producer Chuck Wentworth, who has been in the music festival business for 36 years, said festival-goers have learned to trust his tastes. Fans frequently buy their tickets well before the lineup is announced. He’s particularly proud of bringing music from Canada’s Cape Breton Island and Prince Edward Island to Charlestown, mixing young, little-known musicians with bands that are popular on the festival circuit. Wentworth says Ninigret Park can accommodate more fans, but he doesn’t want the festival to get too big and lose its friendly, all-ages identity. “It’s like a family reunion for a lot of people,” he says. Groups of friends and families camp in the same spots every year. Couples meet at Rhythm & Roots, then bring their children years later. Last year, a couple got married at the festival. Wentworth started his festival career while working as a supervisor of aquaculture facilities at the University of Rhode Island, where he hosted WRIU’s folk radio show for many years. At one point, he was using his time off in the summer to book bands and handle logistics at 11 festivals from Alabama to California. 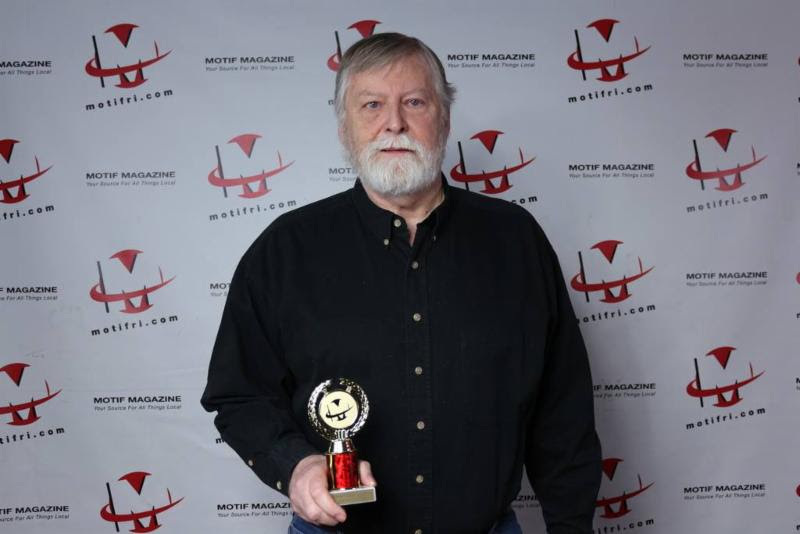 He and a partner put together the Cajun & Bluegrass Festival in Escoheag and ran it for 17 years. Rhythm & Roots was born when Wentworth partnered with the founder of upstate New York’s Grey Fox Bluegrass Festival. They found an ideal location at Ninigret Park. A former U.S. Naval Auxiliary landing field, the park is flat and grassy (perfect for camping), easily accessible off Route 1, and able to accommodate a big crowd. For the last 20 years, Wentworth has improved the power infrastructure at the park to provide top-quality sound, while refining and streamlining the thousands of steps it takes to pull off an event that has doubled in size since he began. In 2015, Wentworth’s Lagniappe Productions took on all aspects of the festival. Now 11 years into retirement, Wentworth and nearly his entire family keep the festival running, including his wife Debbie, three children, and about half of their grandchildren, aged 3-17. His sister and brother-in-law help out, and he also considers the 400+ volunteers part of his extended family. “There are people who’ve been with us since Day One,” Wentworth says. This huge festival family intends to keep authentic roots music not just alive, but thriving. Wentworth is committed to welcoming children to the festival, encouraging them to do more that just listen, but to try it out too. 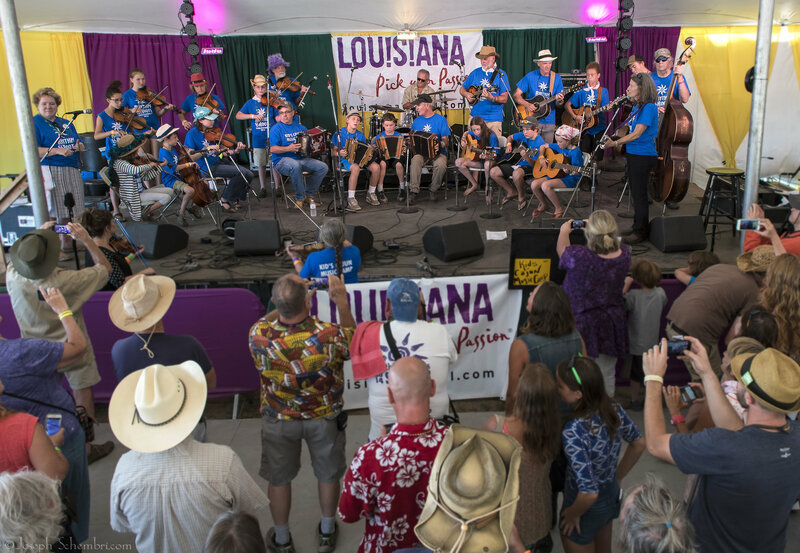 Kids under 12 get into the festival free, teenagers are half price, and a no-cost Cajun music camp is available to children in the community who want to learn to play fiddle, accordion, guitar, bass and mandolin. No festival ticket is needed for the camp, which ends with a graduation gig in the dance tent Sunday. Music on the main RHYTHM STAGE is the focal point of the festival. Seven bands each day get to perform on the “big stage” to showcase the variety that encompasses roots music in a concert-style setting. The popular DANCE STAGE features a covered, 4,400-square-foot wooden floor that attracts dancers from 38 states and three Canadian provinces. It looks intimidating at first glance, but no matter. Look again and you’ll see accomplished and amateur pairs –young and old, tall and short, serious and carefree – all having a swinging time. The ROOTS STAGE is an intimate setting where the audience gets to be up close and personal with the artists. 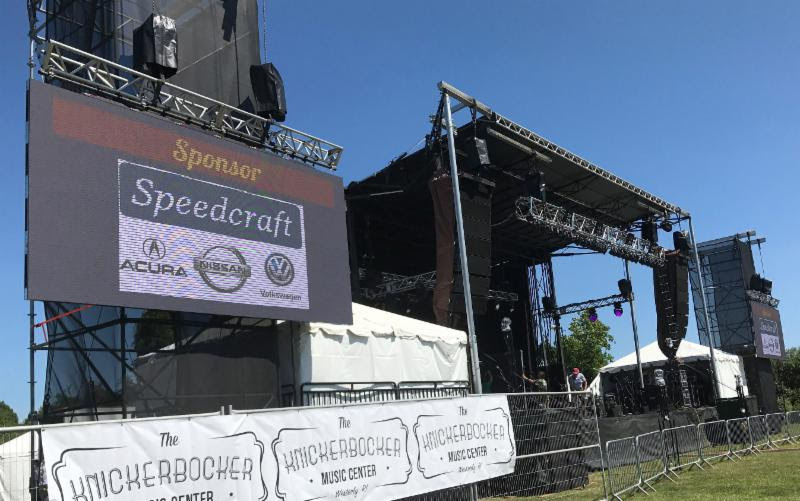 This stage will feature at least four workshops each day followed by extended performances and jams from a variety of bands. The FAMILY STAGE features music, dance, storytelling, crafts and nighttime movies for kids of all ages. Although music is the centerpiece of Rhythm & Roots, the food is just as diverse. 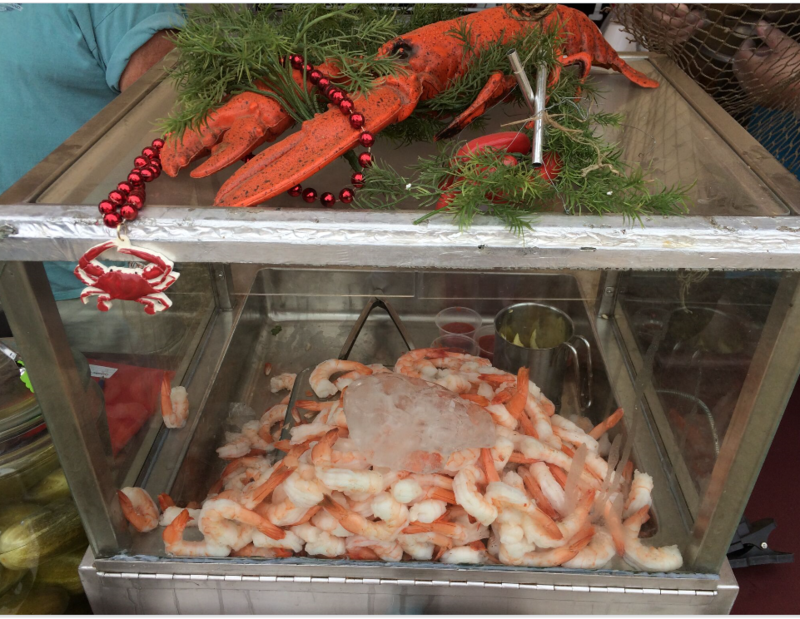 Choose from barbecue ribs, Cajun/Creole specialties, chowder and clam cakes, gyros, Middle Eastern food and desserts, along with craft beers, wine, frozen lemonade and other beverages. In keeping with the family vibe at Rhythm & Roots, Chili Brothers, a first-year food vendor will return for its 20th year. Chili Brothers is well known to those who attend Wentworth’s other annual event, the Mardis Gras Ball at Rhodes on the Pawtuxet. 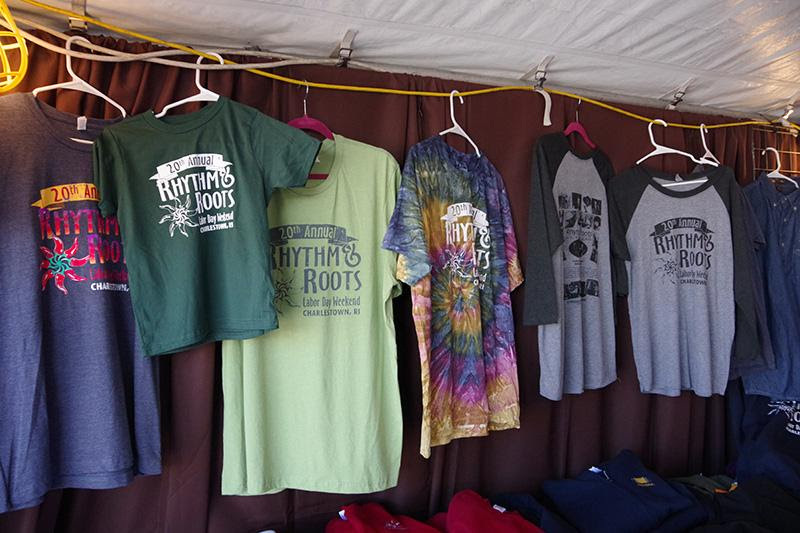 Craft vendors also sell their handmade gifts at the festival, and a Rhythm & Roots booth will offer T-shirts, sweatshirts and other R&R swag. 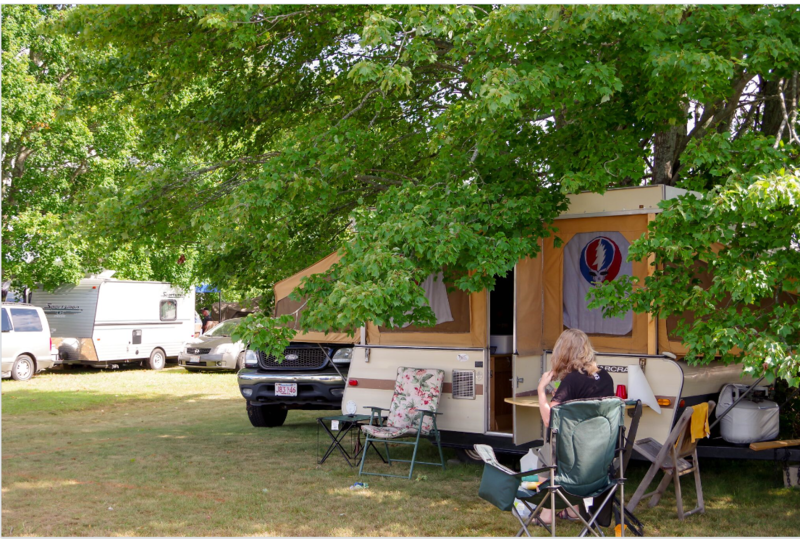 Camping is popular at Ninigret, with about 1,500 people staying the entire weekend.Festival attendees will arrive at the camp area to find their tent set up and outfitted with four cots, a lantern, table and other amenities. Make your reservations early next year. Ninigret covers more than 200 acres, with plenty of opportunities to hike, swim, fish and observe wildlife and birds. Children enjoy the playground and freshwater pond, bike trail, tennis and basketball courts, and public beach. The Frosty Drew Observatory and Nature Center offer star-gazing and programs on marine and aquatic habitats. In addition, Ninigret National Wildlife Refuge has four miles of hiking trails, excellent views of Ninigret Pond, the largest coastal salt pond in Rhode Island, and 250 species of birds. Rhythm & Roots supports the Charlestown food bank, known as Rhode Island Center Assisting Those in Need or RICAN, and VSA Arts, which provides opportunities for those with disabilities to participate in the arts. The festival also hopes to build awareness of Rhode Island’s Native American culture by partnering with the Tomaquag Museum. 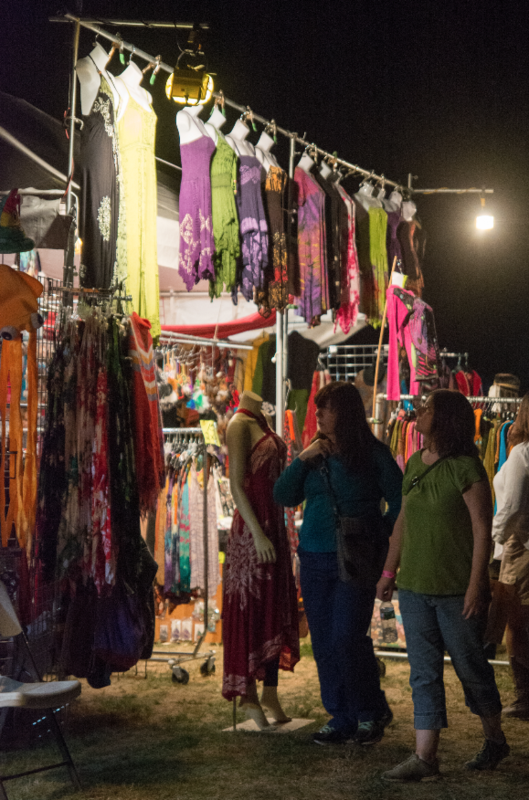 Festival hours are: Friday, 12 p.m. to midnight and Saturday/Sunday 12 p.m. to midnight. Rhythm & Roots has been called “an incredible experience, a perfectly organized, flawlessly run major destination event that music fans from all over the country will be drawn to.” We’re sure you’ll agree, whether you’re coming for the first time or returning for the 20th. 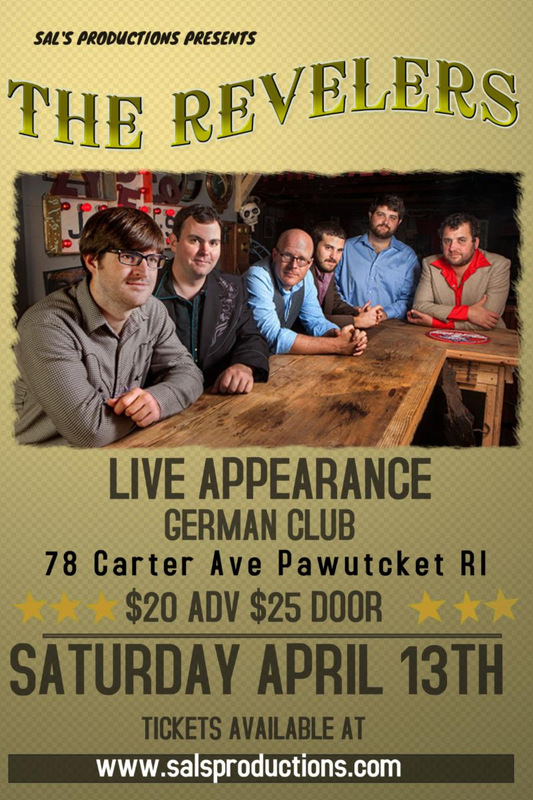 For tickets and information, go to www.rhythmandroots.com, or call 401.783.3926.